As an avid snowboarder from Utah, Ben grew up with a passion for learning. This thirst for knowledge led him to sports, music, and academic endeavors. After a year of college, he did volunteer work in Brazil and became fluent in three languages. 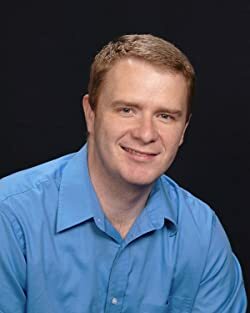 Graduating from the University of Central Florida, he started and ran several successful businesses before publishing his first novel in June of 2012. By the end of the year he'd sold almost ten thousand copies of The Second Draeken War, and he began writing full-time. Now spanning 10,000 years, ten titles, and two series, The Chronicles of Lumineia represents a sprawling YA series that has sold over fifty thousand copies, and continues to expand its readership across all ages. Each of his books has been inspired by his wonderful wife and five beautiful children. Please enter your email address and click the Follow button to follow Ben Hale!